If you have a bony bump at the base of your big toe that always seems to be red and inflamed, chances are, you have a bunion. Because an untreated bunion can lead to chronic foot pain, the top-rated podiatrists at Great Lakes Foot and Ankle Institute PC offer plenty of effective treatments. With locations in Chesterfield, Clinton Township, Fort Gratiot, East China Township, Shelby Township, and Rochester, Michigan, you have an office nearby. Schedule your visit online or over the phone with your nearest office. Pain and stiffness associated with a bunion can become severe enough to force a change in your gait. Before your bunion progresses, it’s important to start treatment to prevent further issues. Usually, these conservative therapies start providing relief right away. If you have a severe bunion deformity, are experiencing difficulty walking, or if conservative solutions aren’t providing effective pain relief, bunion surgery might be the next best option. Modern bunion surgeries are often performed using minimally invasive measures, which shortens your recovery period. If you do need bunion surgery, you can expect to return home the same day and begin walking — possibly with an assistive cane — within a few days. 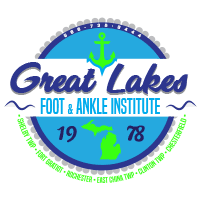 No matter which type of treatment is right for you, the expert podiatry team at Great Lakes Foot and Ankle Institute PC cares for you every step of the way. They have you follow up regularly to ensure your bunion treatment or surgery is effective. Schedule your bunion evaluation at Great Lakes Foot and Ankle Institute PC today. Click on the online scheduler or call your most convenient location directly.